With its tail longer than its body, it has large brown eyes, hairless ears and long finger-like claws. It has gray fur and a nearly naked tail that is more often than not about 232 mm in length. The tails arc over their back when they hop on the ground apparently to balance themselves. The underside of the tail has dermal ridges such as those found on human hands and feet. 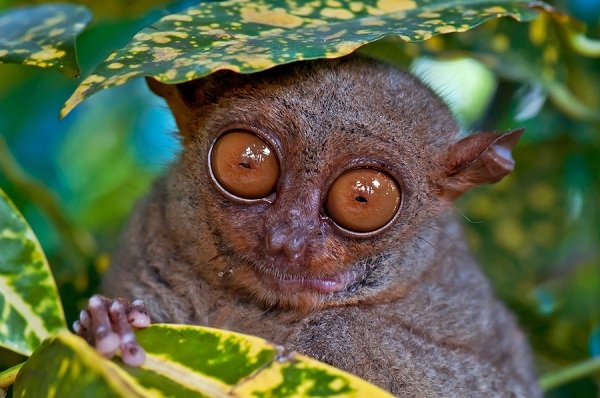 Tarsiers have large mesmerizing eyes whose bony eye sockets are larger than that of its brain case as well as of its stomach. The eye sockets have post-orbital closure which keeps the eyeballs from being pressed against by the powerful temporal muscles to their sides. Much like the owl, the tarsier can rotate its head 180 degrees in each direction. It has a joint between its skull base and spine to allow this particular head movement. Its upper lip lacks a cleft yet, but still has muscles, so that it can make facial expressions. The adult brain weighs about 4 grams. Tarsiers have sharp teeth, enabling them to catch their prey easier. Unique among primates, tarsiers have only two, rather than four, incisors in their lower jaw. Their dental formula is 2.1.3.3 1.1.3.3 x 2 = 34. The animal can also leap even up to 10 feet and agilely maneuver itself from tree to tree. This ability may be due to the fact that they have extra-long tarsal bones which form their ankles and enable them to leap so high. The tarsiers name was derived from the word ‘tarsal’. 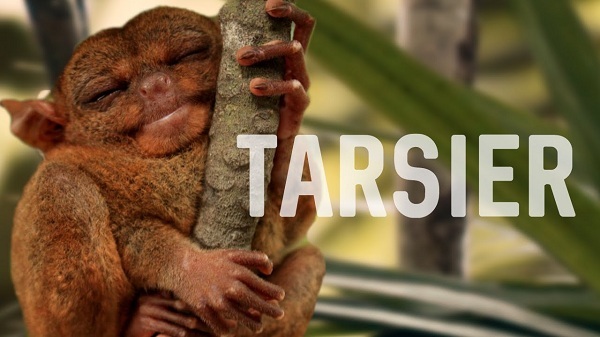 Tarsiers are nocturnal creatures, like the owls – sleeping during daytime yet very active at night. They hide in hollows close to the ground; hunts and feeds mainly on fruits and insects such as cockroaches, crickets, and sometimes small lizards. Local folks believe they eat charcoal but in fact they only get the maggots or insects inside burnt wood or to get some salt. This particular animal’s cry is a loud piercing single note. When they gather, they have a chirping, locust-like sound, and when contented emits a soft sweet birdlike twill. They live in groups, more than just one male and female. The female takes exclusive care of their young. No male parental care has been observed. Male tarsiers have epigastric glands, which they use for scent marking. Females emit a special sound to indicate that they are fertile. Female tarsiers have a prosimian-type uterus but a higher primate type placenta. One unusual feature is that they have multiple breast pairs, yet generally only the pectoral pair is functional. The other ones serve as anchoring points for newborn. The gestation period of a tarsier is about 180 days (6 months), and only one young is born at a time. 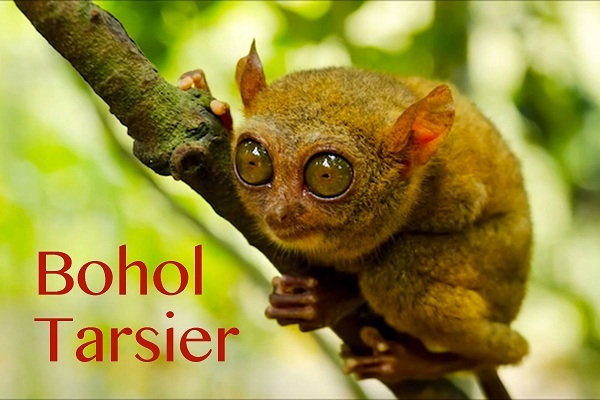 When a tarsier is born, it is already in a well-advanced state of development. It is born well furred and with its eyes open. The head and body length at birth is 66-72 mm, the tail is 114-117 mm long, and its weight is 25-27 grams. They are able to move about after only two days. The mother carries infants with her mouth or on her belly. No nest is built. The female parks her infant while foraging. 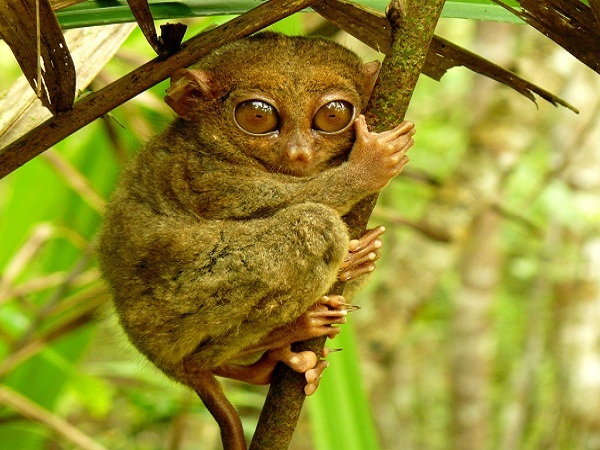 A young tarsier can climb after two days and jump after four. After about 19 days, young tarsiers already move around much like adults. It is breast-fed up to about 60 days. Juveniles tend to be more uniformly colored than adults. After two years, young tarsiers become sexually mature. The female has an estrus cycle, or recurring period of heat, of 23.5 days. Mating can take place any time of the year. Tarsiers live up to 20 years old. Tarsiers in captivity are quite tame. They are most often found huddled together with their tails intertwined. One can fondle them and allow them to run up ones arms to the shoulders and back. Quite ticklish, yes, but they’re so cute! They easily get scared, though, and scurries back to the shrubs and hide. In captivity, the tarsiers will eat live shrimp and fish in a bowl of water. 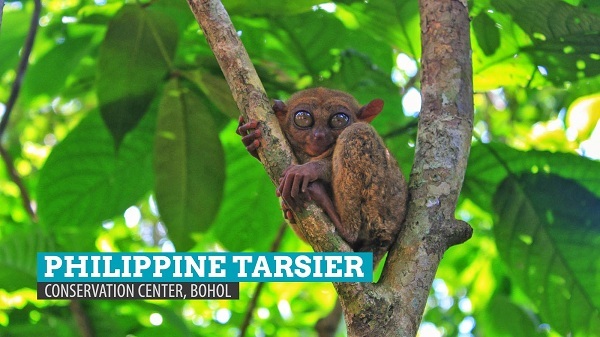 In fact, only five species of the tarsier exist: four can be found in Indonesia and the species, Tarsius Syrichta, lives deep in the woods of Bohol Island in the Visayas. These small furry creatures can also be found in the islands of Samar, Leyte and Mindanao. 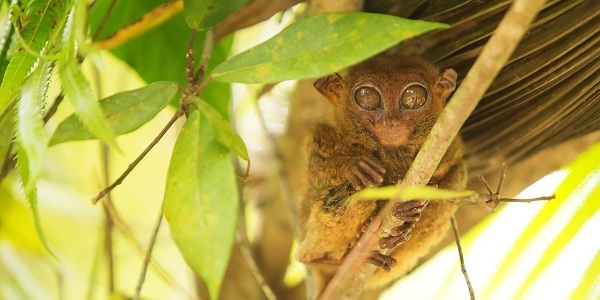 Before, the tarsiers have inhabited the rainforests worldwide but have dwindled and now exist only in said islands of the Philippines, in Borneo and Indonesia. In the 1960’s, they were a common sight in the southern part of Bohol, but now only an estimated 1000 exists in the wild. They were once protected by the humid rainforests and mist-shrouded hills but were affected by the destruction of their natural habitat thru both legal and illegal logging, slash-and-burn agricultural practices that greatly diminished the forested areas. They were also victims to poachers who caught them and sell them as stuffed tarsier mementos to tourists. To the locals, the tarsiers are called by various names, such as: “mamag”, “mago”, “maomag”, “magau”, “malmag”, and “magatilok-iok”. The tarsiers belong to the class “Mammalia” under the order of the primates. The suborder is “prosimii/haplorrhini; infraorder of tarsiiformes” of the superfamily “tarsioidea”. Although often called as “the world’s smallest monkey”; this is not true for the monkeys and apes belong to the suborder of anthropoids. Yet they have some things in common. The internal structure of the nose and ears and the blood supply to the brain and to a developing fetus are more like those of monkeys. This is also the case when it comes to the sexual swellings of female tarsiers. Like anthropoids, they do not have a tapetum (a reflective layer in their eyes). 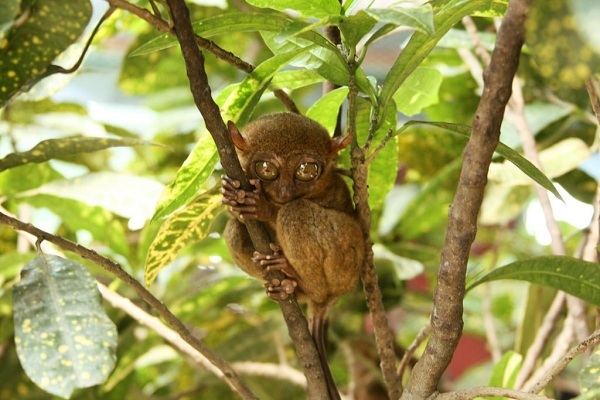 Tarsiers in the other areas of the Philippines differ slightly. Those found in Samar and Leyte are named “T. philippensis”; in Bohol, “T. fraterculus”; and in Mindanao, “T. carbonarius”. It is believed though that the specie in the Philippines is of one kind but developed into three races due to separation and habitat adaptation. Relatives of the Philippine tarsiers are found in Borneo, Sumatra and Indonesia: the tarsius bancanus of Borneo; the tarsius spectrum and tarsius pumilus of Sumatra; and tarsius dianae of Sulawesi, Indonesia. 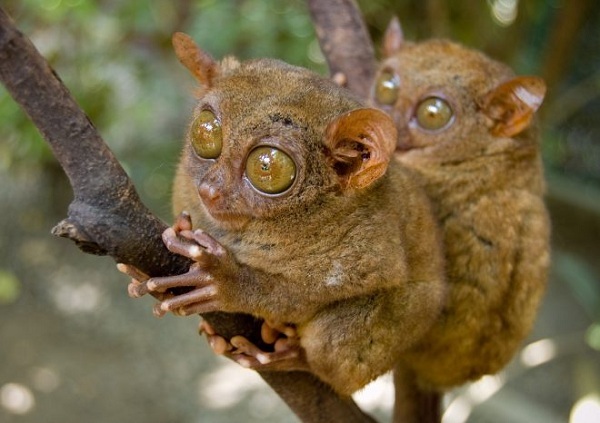 The pygmy tarsier (tarsius pumilus) is much smaller than the Philippine tarsier. The Tarsier Man - Carlito Pizarras is known in Corella as the Tarsier Man. He is at present the field officer of the Philippine Tarsier Foundation, Inc. (PTFI). 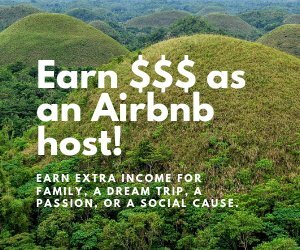 The Philippine Tarsier Foundation, Inc. - The Philippine Tarsier Foundation, Incorporated (PTFI) is a non-stock, non-profit organization mandated by the DENR in their 1997 Memorandum of Agreement (MOA) to implement the Philippine Tarsier Conservation Program. 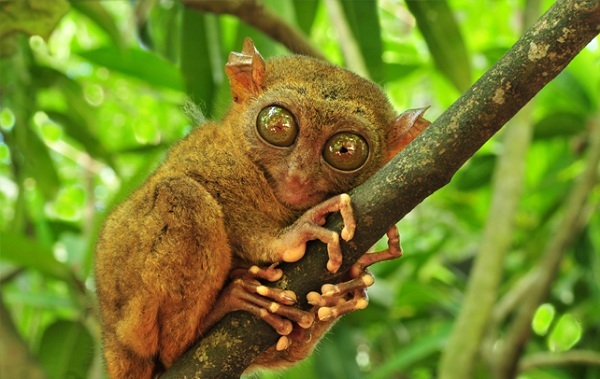 Philippine Tarsier and Wildlife Sanctuary – Is a tarsier sanctuary covering an area of 167 hectares within the three municipalities of Corella, Sikatuna and Loboc. This timberland area is currently under the administration of the DENR and is part of its Social Forestry Project. The Sanctuary starts at barangay Canapnapan in Corella, Bohol.